Members of the Chapoutier family have been working in the Rhône valley since 1808. A distant ancestor, Polydor Chapoutier, was the first to buy vines here, shifting from being a simple grape grower to making and trading his own wine. The pioneering spirit was already part of the family tradition. Since 1990 Michel, now in his forties, manages an exceptional Estate, a land rich in history and tradition. Passionately interested in expressing the character of the soil, Michel has found the means to give free rein to his convictions. In 1997, true to his pioneering spirit, Michel Chapoutier set out to explore the terroirs of the oldest continent. He wanted to meet people, people like him with a passionate interest in bringing out the true character of vines. He found land awaiting its revelation. Michel Chapoutier’s aim is to invent properties, not to follow the example of others. Michel Chapoutier buys land and joins forces with major winemaking families, playing on their complementary know-how and experience. The result is exceptional Shiraz wines, displaying great elegance and mineral purity. In 1998, when Michel Chapoutier examined the soil in the Australian Pyrenees in Victoria he declared “greatness is possible”. In 2004 Michel proclaimed 17 of the acres had produced a wine that was ready to be bottled. And so Terlato & Chapoutier Lieu-dit Malakoff Shiraz was born. In 2009 Michel Chapoutier bought two new vineyards (Shays Flat Estate and Landsborough Valley Estate) in the Victorian Pyrenees to set up the fully owned label, Tournon. Michel recognized two unique terroirs that would allow him to make distinctive wines utilizing the Syrah/Shiraz grape that originates in his homeland. 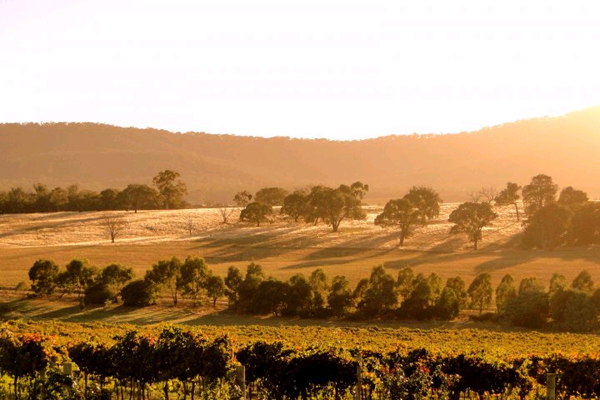 A southern extension of the Great Dividing Range, The Pyrenees foothills and ranges create a remarkable diversity of microclimates and soils that provide wealth of variety for winemakers. The cool weather patterns and unique soil in this region are an ideal place for the development of Chapoutier’s biodynamic winegrowing philosophy, and of extending Rhône traditions. Like in Hermitage, Michel’s challenge is to show the diversity of this area by producing racy Shiraz from different type of soils.